Here’s another massage place I want to introduce, this time, something simple, something traditional, somewhere cozy. Hidden behind a mini carpark lane, you might easily miss this place. A 5minute walk from Kembangan MRT Station, (just cross the road and walk along the big canal, you will come to a traffic stop where you can see this from where you are standing! 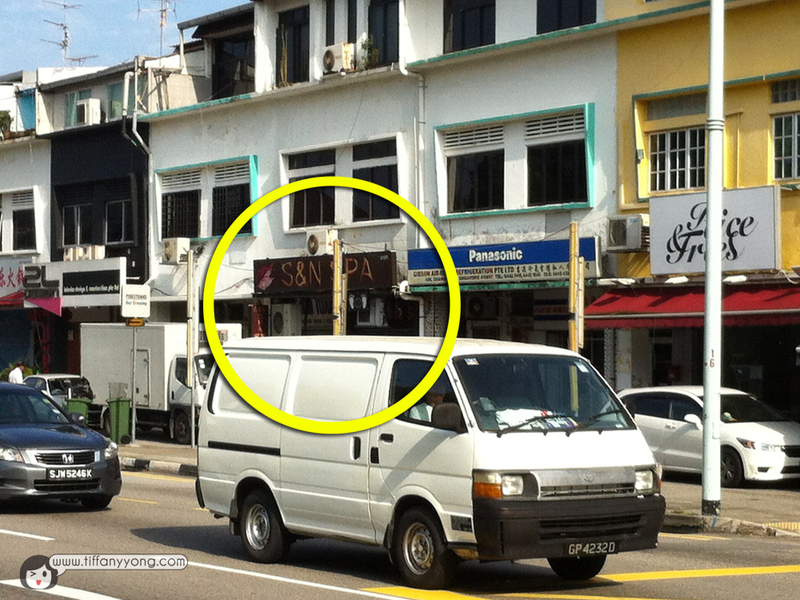 Here’s how S & N Spa looks like! I didn’t take much photos as the whole room was quite dark, and they don’t have brighter lightings! -.- So I was given a full body massage with ear candling which is supposed to help with my lymphatic drainage etc. The place actually get pretty much customers from the neighbourhood. I went in the afternoon, and there were people walking in and being turned down! They are open 24 hours, and regulars usually get free essential oil or heat treatment! I dozed off in the midst of the massage and with the quiet masseuse, it is really a good, cozy place to relax. If you are wondering what’s bad? Maybe it’s just me, but I find the masseuse’s finger too thin for my liking! (haha) wasn’t as comfortable as my previous korean massage, but yet again, I didn’t manage to fall asleep in that massage. The massages were pretty affordable too.